All DR wheeled strimmer models are designed to take the hard work out of strimming, in other words, a trimmer for every job! As the video shows below you can see how you can quickly trim around edges and overgrown areas. They make precise trimming in rough areas and around the garden edges in a one and all-powerful machine. 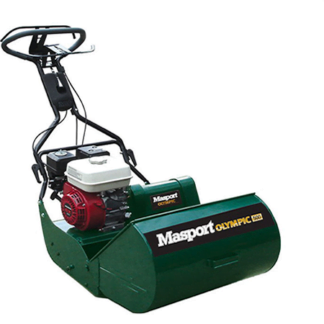 There are push models available and powered models, if you have a larger area of grass to cut, I would definitely go fo a wheel driven machine, it makes life much easier! 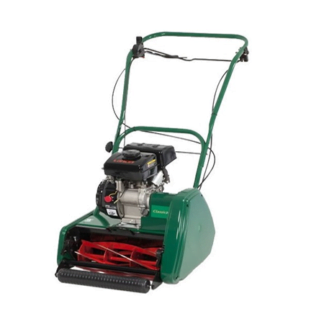 The DR wheeled trimmers are typically overpowered for the average edging job, however, you will appreciate the extra power when it comes to cutting longer and thicker grass. You can actually cut waist high field grass without any clogging or loss of power, the DR wheeled trimmer just keeps going! The metal frames of the DR wheeled strimmer are made from 14 gauge steel. The large wheels are designed for years of hard work and to cope with challenging terrain. All models carry the unique DR instant cutting height adjuster which enables you to quickly change the height of cut. The cutting adjustment feature enables you to change the cutting height instantly from 1.5 inches to 5.5 inches. No tools are required to adjust the height, just simply feed the nylon cord through the cutting head to the required cutting height on the cutting head. One of the great features of the DR wheeled strimmer is the fact that the cutting head can be offset at an angle to make it very simple to cut around buildings and fences et cetera and yet carry on in a normal forward walking direction. An excellent feature which makes trimming your edges so much easier and quicker. This feature is also very useful for cutting around borders before you mow, simply offset the cutting head and walk around your borders with the DR wheeled strimmer. All DR wheeled strimmers are supplied with two types of quality nylon cutting cord, this is a much heavier cutting cord than the traditional handheld strimmer cutting cord. It’s also a quality grade of cutting cord. 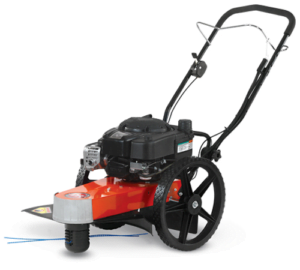 The cutting cord can be extended to cut a 20 inch cutting width which allows you to cover the ground very quickly. Every DR wheeled strimmer is fitted with a safety blade clutch, so as soon as you release the handlebar clutch the cutter head will immediately stop spinning, making it very safe to use. Every DR wheeled strimmer comes ready to go, simply slide on the wheels and add oil and petrol and you’re ready to go. Happy trimming! You Can See Our Of DR Wheeled Strimmer’s Below. 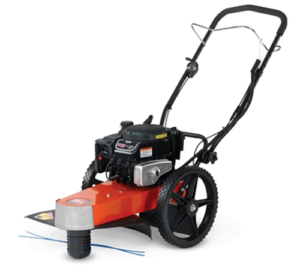 The DR 675 Premier wheeled trimmer is DR’s smallest wheeled strimmer, for more information click on the link or the photograph. 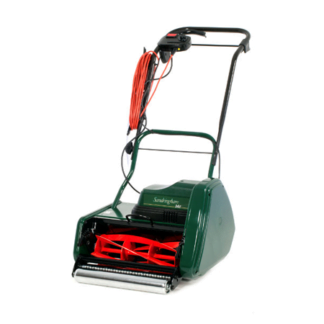 The next model up is the DR TR4 Premier ES wheeled trimmer which sells for £649 and comes with electric start. For more details click on the link or the photograph below. 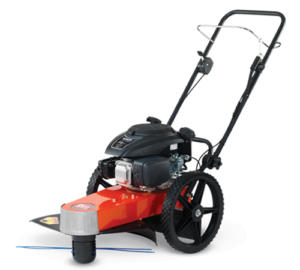 The mid-range DR TR4 pro 7.25 recoil start wheeled trimmer is priced at £749 and is powered by 7.25 hp engine. For for details click on the link or the photograph below. 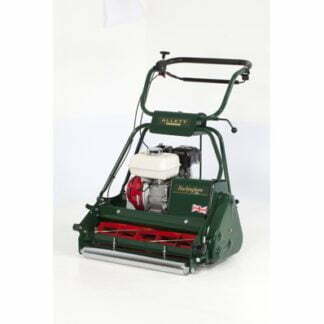 Here is the DR TR 4 pro recoil wheeled trimmer which sells for £799 and is powered by an 8.75 hp engine. See more details on this trimmer by clicking on the photograph below. 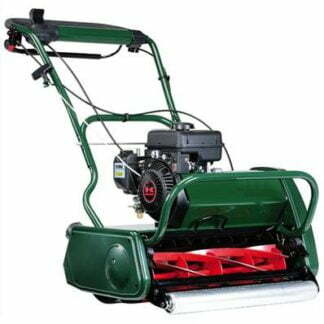 Finally, we have the largest model which is the DR TR 4 pro XL 8.75 PDES wheeled trimmer mower. This machine sells at £1099, for more details click on the link or the photograph below. 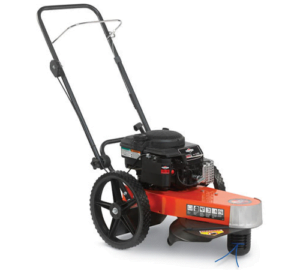 You can see other makes of wheeled trimmer here. 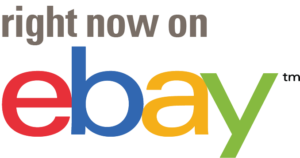 It’s also worth checking out eBay for other various models available.